Discover fast, interesting fun facts on John F Kennedy for kids with some amazing, cool and quick information. Ideal for children, homework, schools, teachers and kids of all ages! Enjoy our fast, fun facts for kids on John F Kennedy in a useful fact file format with a fact sheet on John F Kennedy. Fast fun facts for kids with a funny video on every page to make the learning process easy, funny and great fun! Fast fun facts for kids with free pictures and photos - ideal for fast homework help. 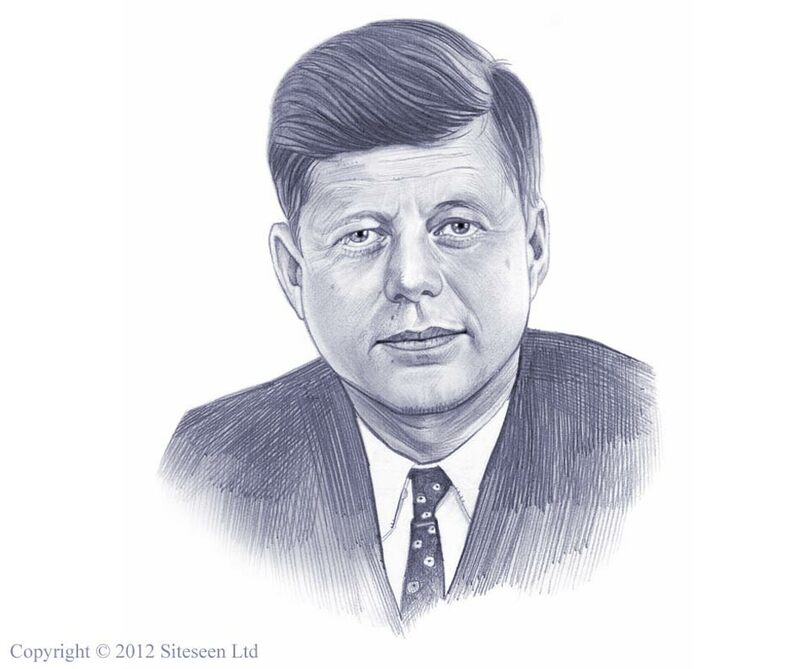 Find out answers to questions like: What was John F Kennedy's middle name, what did the F stand for in JFK? What tragedies happed to the Kennedy family? What was Cuban Missile Crisis? What was Bay of Pigs' incident? What quote did JFK say? Where was JFK when he was assassinated? Did you know that John F Kennedy was a member of Democrat Political Party? Did you know that John F Kennedy as the first Roman Catholic President? Did you know John F Kennedy was assassinated in Dallas, Texas? Did you know that he is the youngest ever elected president? Fun facts on the American Presidents would not be complete without a picture of President John F Kennedy! Watch the video, its fun for kids and children of all ages and ideal for homework help. John Fitzgerald Kennedy was one of nine children born into an extremely wealthy family. His father, Joseph Kennedy, was a leading political figure from Boston, who became the US Ambassador to the United Kingdom. He was financially very stable, and when his nine children reached the age of 21 he gifted each of them $1,000,000! He did not see eye to eye with previous president, Dwight D Eisenhower who referred to John F Kennedy as "Little Boy Blue"
John F. Kennedy was once quoted a saying "The best road to progress is freedom's road"
Fun Facts on John F Kennedy - Watch the Video! Fast, Fun Facts, Free Video on John F Kennedy for kids and children of all ages!